If you thinking about having a breast augmentation or breast lift with implants sometime in the future but have been indecisive in pursuing the procedure, I have both good and bad news for you. The good news is that there are far more choices of breast implant sizes, shapes and styles now than ever before – so you’re in luck. There are far more choices in implant sizes, shapes and styles than at any point in the past … so good luck in making a decision! With their continuing evolution, breast implants were then offered in various projections and widths for a given volume (known as “profiles”). That is, for around the same overall volume size, a woman could select from ones of either less projection and more width or greater projection and less width. This provided far more choices as regards the cup size and appearance that could be obtained, including for women with very narrow chests and those who were very broad. 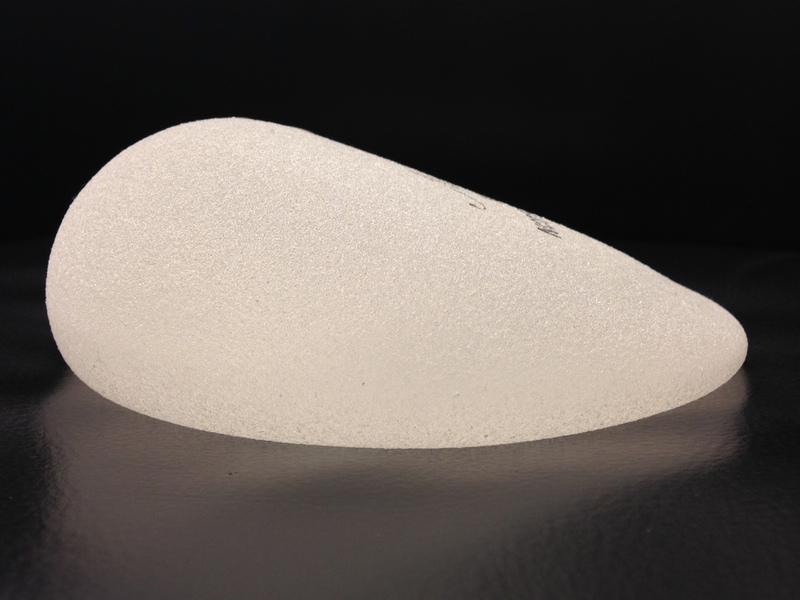 One breast implant manufacturer now offers 4 different profiles: low, moderate, high and extra high. Earlier this year, a whole “new” style of breast implant became available in the United States (though it has been available elsewhere around the world for around 20 years) – one that may last longer, is associated with a lower risk of capsular contracture and has wedge shaped configuration that could provide for a more natural or subtle breast enlargement. This anatomic shaped implant, commonly known as the “gummy bear” implant, is a form stable implant that is firmer in consistency as compared to the standard breast implant. It has a wedge like shape with its greatest projection in the lower part then tapering up to the upper margin. This generally allows the skin and breast tissue to drape over the implant in a more “natural” and subtle fashion as compared to round implants which often create a more rounded, push-up look at the upper part of the breast. There is, of course, a bit of overlap as regards the breast contours produced by both shapes of breast implants. The style of implant that would be best for you would depend on a multitude of factors which can be thoroughly explained to you by your plastic surgeon. With all the choices of breast implant shape, sizes and profiles (projections) that are now available for breast augmentation, there is bound to be one that will be absolutely right for you. For more information on anatomic or round breast implants and breast augmentation or on any other plastic surgery procedure that I perform, you can call my office at 480-451-3000.